When you visit your conventional doctor, it is not uncommon that you would be prescribed a medication to suppress a symptom you have. Your symptom may or may not improve, but then you may notice that you experience some side effects from the medication, so you return to the doctor’s office. Your options are: 1) stop taking the medication, but then have your symptoms come right back or 2) leave the doctor with a new medication, this one to help with the side effects of the first one. Rinse and repeat. This can leave you frustrated, and asking why you even had that initial symptom in the first place. Naturopathic doctors are medically-trained doctors who attend a four-year, accredited medical doctorate program and must pass two national board examinations. Their training includes anatomy, physiology, biochemistry, pathophysiology, and pharmacology, similar to conventional medical schools. In addition the program includes herbal medicine, clinical nutrition, homeopathy, physical manipulation, and Chinese medicine, including acupuncture, hydrotherapy, minor surgery, and lifestyle counseling. Although there are no official post-graduate specialties, naturopaths may or may not attend a residency. They also often select an area of focus. They must complete yearly, continuing medical education to keep up-to-date on the most relevant medical information. 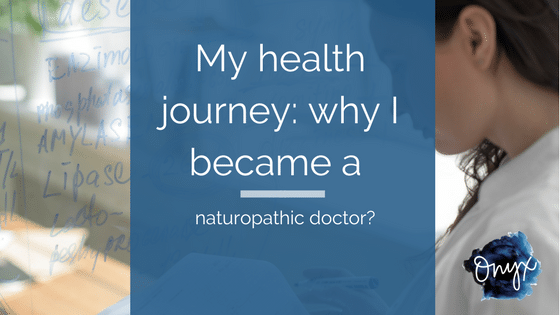 An essential part of being a naturopathic doctor is having a comprehensive understanding of how the human body operates, down to its physiology and biochemical processes. This understanding allows us to identify the underlying cause of symptoms, and most importantly, informs how that causecan be fixed. Our body is made up of billions of cells, each with their own job to do to keep our body healthy. For example, cells produce proteins, create enzymes to digest and absorb food, and communicate messages with one another through things like neurotransmitters and hormones, just to name a few. The foods we eat, the chemicals and/or heavy metals we are exposed to, our stress levels, ournutritional deficiencies, and the genes we are born with can all severely interfere with these delicate processes. The result is health issues ranging from mild symptoms to debilitating diseases. By developing an understanding of what factors are contributing to the cause of your symptoms, we can select therapies to address these factors and therefore fix the problem, instead of simply masking it. A naturopathic doctor’s goal is to provide the body what it needs to not only recover from disease, but to achieve optimal wellness as well. They select the safest and most effective therapies to work withyour body, instead of against it. Naturopaths understand that all systems of the body are interconnected, and they look for patterns to determine what factors all your symptoms have in common. For example, if you are experiencing digestive issues as well as some mental-emotional imbalances, a naturopath would see how these issues are connected and significantly impacting one another. Naturopaths take a whole person approach, meaning, all of your symptoms — physical, mental, and emotional — are taken into account and treatment is geared to you as a whole person, instead of towards one symptom in isolation. Naturopathic doctors are trained extensively in pharmacology, and they do understand that there are instances where medications are the best option. They also recognize that medications can cause side effects, as well as rob the body of specific nutrients it needs to function properly. Naturopathic doctors are experts in herbal and nutritional therapies, and can therefore safely recommend natural supplements to treat the underlying cause of your symptoms, mitigate medication side effects, andrestore optimal nutritional status — without interfering with the medication. After working with a naturopath, it is not uncommon to reduce the need, or dosage needed, for a medication. In these cases, it is recommended that you consult your prescribing doctor for his or her recommendations for the medication. When you visit a naturopathic doctor, you can expect to spend a lot more time with him or her than you do with your conventional doctor. You can expect a doctor that listens to you, asks questions, and makes decisions with you, not for you. 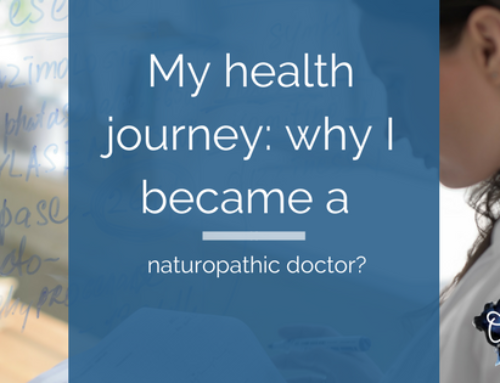 Naturopathic doctors are teachers; they take the time to explain how your body functions, what may be dysfunctional and why, and what your lab results really mean. Their goal is to empower you to take control over your own health. They teach you strategies, specific to you as an individual, on how to prevent future disease and maintain optimal health. Naturopathic doctors work with you in a therapeutic doctor-patient relationship will be there with you throughout your health journey.